Recurring revenue business models go far beyond just subscriptions (tiered, pre-paid, on-demand, pay-as-you-go, freemium, etc. ), and can be applied to just about anything. But while opportunities abound, there are also challenges. 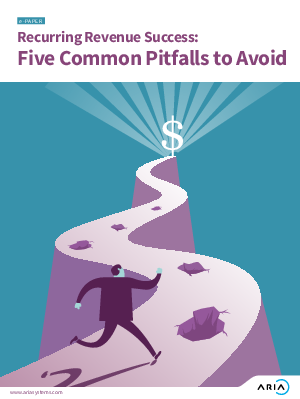 As you look at the possibility of deploying a recurring revenue model, there are five common pitfalls along the way that you’ll want to avoid.